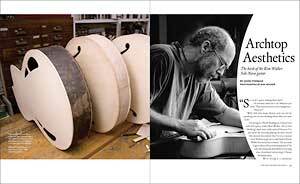 The Fretboard Journal #9 features profiles of Richard Thompson and Vince Gill, looks at Victoria Amplifiers, the exquisite Solo Novo archtop from luthier Kim Walker, Mexico’s “Guitar Town” and Fred Walecki’s Westwood Music in Los Angeles, plus: Kenya’s guitar scene; Mark Mancina on August Rush; re-creating Leadbelly’s Stella; and much more. This issue is sold out, unfortunately. Subscribe to make sure you never miss out again. 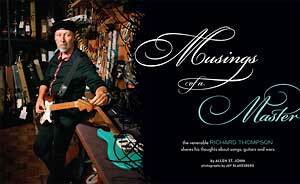 Clapton’s Guitar author Allen St. John chats with singer-songwriter Richard Thompson about the guitars he’s used over the years, his songwriting process, a chance encounter with Courtney Love and much more in this issue’s cover story. Meanwhile, acclaimed photographer Jay Blakesberg takes gorgeous pictures of Thompson and a couple of his more famous guitars: his beat-up ’59 Strat and his Ferrington. A lot of us love vintage Fender tube amplifiers, but former stockbroker Mark Baier took his obsession to the next level when he founded Victoria Amps back in 1994. Today, Victoria makes some of the most critically-acclaimed boutique amps available. 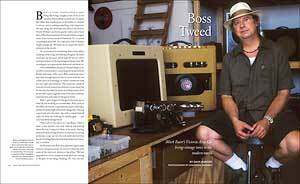 Dave Hunter interviews Baier about his Fender amp obsession and the thought that goes into each new Victoria creation. 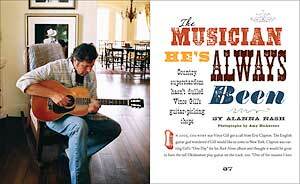 Country stars don’t often show up in the pages of the Fretboard Journal, but most country stars don’t boast the chops or vintage instruments that Vince Gill does. Alanna Nash interviews Gill and those close to the musician about his uber-successful music career, his collection of 100-odd guitars, his 1923 Gibson Lloyd Loar mandolin and a lot more. 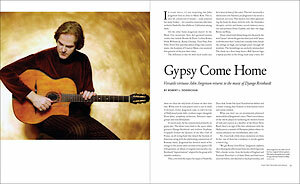 Full color photographs of Gill with his vintage Martins and the Loar abound. 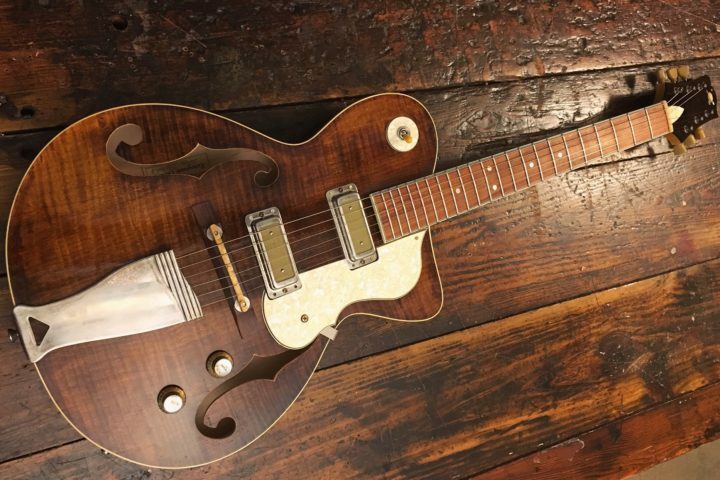 John Thomas examines the creation of one of the most artful guitar designs around: Kim Walker’s Solo Novo. This ultra-light Brazilian rosewood and European spruce archtop pays tribute to previous archtop designers such as Lloyd Loar and Jimmy D’Aquisto in appointments but is thoroughly progressive and modern. 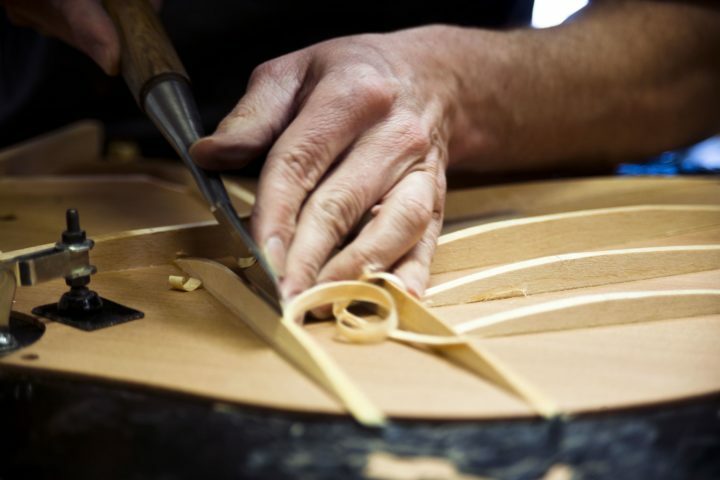 Gorgeous photos show the instrument from start to finish. There are some guitar stores you can walk in and out of in five minutes. Then there’s Fred Walecki’s Westwood Music in Los Angeles. 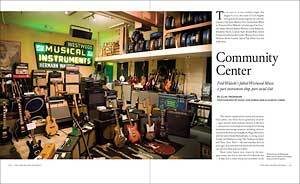 As Southern Californian Clay Frohman discovers, Westwood Music is equal parts instrument shop and social club. This store, rich in Southern California music history, is a virtual community center for Southern California rock stars, guitar collectors and music lovers. He’s been a sideman for Elton John, a Disneyland musician and a Telecaster hero. 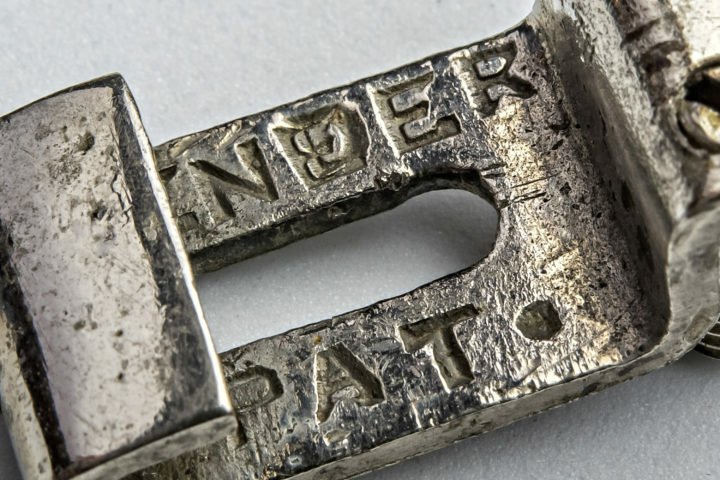 What was left for John Jorgenson? The music of Django Reinhardt, of course. Robert L Doerschuk interviews the guitarist about his diverse career, his love for gypsy jazz music and the rare Selmer guitars he’s been accumulating. Photographer Eric Futran sets out to chronicle Paracho, Mexico, perhaps the only town in the world where the main industry revolves around guitar building. Futran captures the soul of this magical place with portraits of the local luthiers, their creations and all the unique guitar-related festivities that surround the area.